The heart is the main pump of blood in the animals with a closed circulatory system. Atria and ventricles are the two types of chambers found in the heart. Atria are the upper chambers while ventricles are the lower chambers of the heart. Majority of mammals have a heart that can be divided into two sides as left and right. Therefore, a mammal heart is made up of four chambers: right atrium, right ventricle, left atrium, and left ventricle. Right and left atria are the two upper chambers of the mammalian heart. The main difference between right and left atria is that right atrium receives deoxygenated blood from the body whereas left atrium receives oxygenated blood from the lungs. The right atrium refers to the right upper chamber of the mammalian heart. It receives deoxygenated blood from the body through the superior and inferior vena cava. The two vena cava empty the deoxygenated blood at the thin-walled, posterior part of the right atrium known as sinus venarum. The right atrium supplies blood to the right ventricle of the heart through the mitral valve. The anatomy of the human heart is shown in figure 1. As it receives blood from the body, the right atrium is involved in the systemic circulation. Systemic circulation is one of the two types of circulation in mammals with double circulation. Double circulation refers to the circulation of blood in two circulation cycles; one through the lungs and the other through the body. During systemic circulation, the blood circulates between the heart and the body. The superior vena cava drains blood from the tissues superior to the heart such as head, neck, arms, and upper thorax. The inferior vena cava drains blood from the tissues inferior to the heart such as lower thorax, abdomen, and legs. The blood from the exterior of the heart is drained by the coronary sinus. One of the most significant features of the right atrium is the presence of the sinoatrial (SA) node and the pacemaker cells, controlling the rhythm of the cardiac muscle cells during contraction. The left atrium refers to the left, upper chamber of the mammalian heart. It receives oxygenated blood from the lungs through four pulmonary veins. The four pulmonary veins empty the oxygenated blood at the thin-walled, posterior part of the left atrium. The left atrium supplies blood to the left ventricle of the heart through the tricuspid valve. The valve system of the human heart is shown in figure 2. As it receives blood from the lungs, the left atrium is involved in the pulmonary circulation. The pulmonary circulation is the other type of circulation in the mammals with double circulation. During pulmonary circulation, the blood circulates between the heart and the lungs. The four pulmonary veins drain blood from each of the two lungs to the heart. One of the significant features of the left atrium is the presence of thick walls compared to the walls of the right atrium, producing a high blood pressure that the right atrium. Right and left atria are the upper chambers of the mammalian heart. Both right and left atria serve as blood-receiving chambers of the heart. Both right and left atria receive blood passively during the relaxation phase of the cardiac cycle. Both right and left atria consist of thin muscular wall compared to the two ventricles. Both right and left atria are made up of a thin-walled posterior part and a muscular anterior part known as pectinate muscle. Both right and left atria receive blood from their thin-walled posterior part. The anterior part of both right and left atria exhibits a wrinkled, flap-shape known as auricle. The right and left atria are separated by the interatrial septum. The main function of both right and left atria is to collect blood to supply the correct volumes of blood to the right and left ventricles respectively. Right Atrium: Right atrium refers to the right, upper chamber of the mammalian heart. Left Atrium: Left atrium refers to the left, upper chamber of the mammalian heart. Right Atrium: Right atrium is located on the right side of the heart. Left Atrium: Left atrium is located on the left side of the heart. Right Atrium: Right atrium receives blood through inferior and superior vena cava. Left Atrium: Left atrium receives blood through four pulmonary veins. Right Atrium: Right atrium receives blood from the body. Left Atrium: Left atrium receives blood from the lungs. Right Atrium: Right atrium receives deoxygenated blood. Left Atrium: Left atrium receives oxygenated blood. Right Atrium: Right atrium supplies blood to the right ventricle. Left Atrium: Left atrium supplies blood to the left ventricle. Right Atrium: Right atrium is involved in the systemic circulation of mammals. 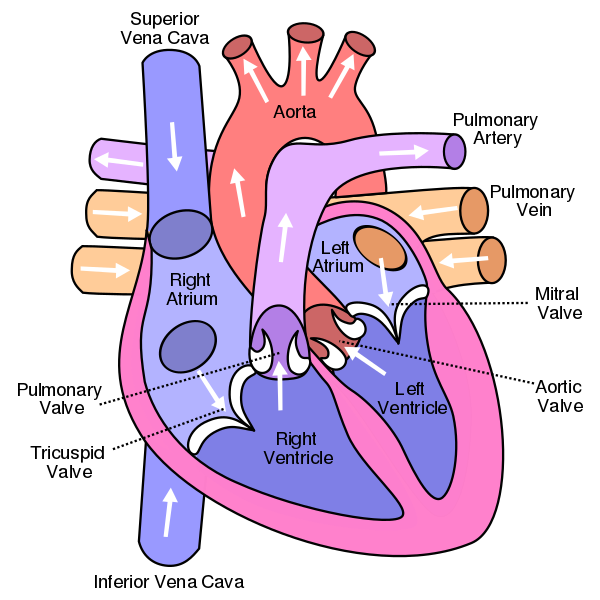 Left Atrium: Left atrium is involved in the pulmonary circulation of mammals. Right Atrium: The posterior part of the of the right atrium is known as sinus venarum. 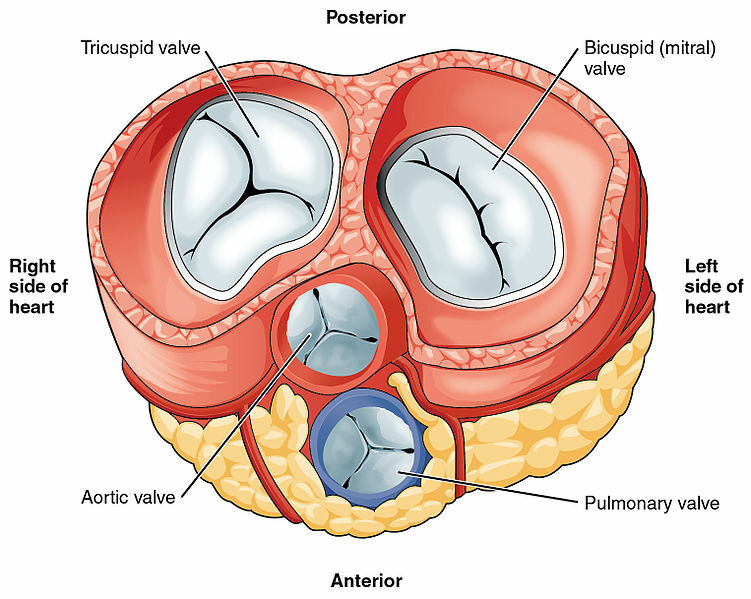 Left Atrium: The posterior part of the left atrium has no unique name. Right Atrium: Right atrium supplies blood to the right ventricle through a tricuspid valve known as right AV or tricuspid valve. Left Atrium: Left atrium supplies blood to the left ventricle through a bicuspid valve known as the left AV or mitral valve. Right Atrium: The walls of the right atrium are comparatively thin. Left Atrium: The walls of the left atrium are comparatively thick. Right Atrium: Right atrium generates less pressure. Left Atrium: Left atrium generates a comparatively high pressure to that of the right atrium. Right and left atria are the two upper chambers of the mammalian heart. The right atrium receives deoxygenated blood from the body through the superior and inferior vena cava. It supplies blood to the right ventricle of the heart through the tricuspid valve. The left atrium receives oxygenated blood from the lungs through four pulmonary veins. It supplies blood to the left ventricle through the mitral valve. The main difference between right and left atria is the type of blood they receive. 1.“Atria of the Heart.” Kenhub, Available here. 2.“Right Atrium – Human Heart.” Innerbody, Available here.